By now, most people are aware of how Pokemon Go is sweeping the globe. It seems inescapable. Everywhere you turn you see people running around while staring at their phones and frantically tapping and swiping with their fingers. Even when you turn on the TV or the internet you see yet another story. But as passionate travelers who have tried playing Pokemon Go on the road, we’ve been frustrated. And as tourism marketing professionals, we’re scratching our heads thinking about how this game can benefit a travel destination the way other games, like Geocaching, have. Now before we get all the Pokemon Go fans up in arms, let me clarify…we don’t hate this game. In fact, we love it and want to play it more. However, as digital nomads who have been living and traveling in Asia for 2 years now, we have had a terrible time playing Pokemon Go. Of course, the game wasn’t released here in Asia until recently. So we had to watch jealously as our friends and family played it back in the states. Then finally…it came to Hong Kong! We were so excited when Pokemon Go was released in Hong Kong, we set out to go play it immediately. However, it wasn’t long before we were overcome with frustration and disappointment. Who wouldn’t get excited with this guy on your leg! The very first thing we noticed when we set off in Hong Kong in search of Pokemon is that it required a constant data connection. WHAT?!?! As visitors to Hong Kong, we didn’t have a local cell phone plan or a SIM card that included data. In fact, we rarely ever use data on the road and we advise other travelers not to use data either. First of all, it’s costly to use data on the road – especially for travelers from the States where international data rates are atrocious (as I had the misfortune of discovering a few years ago after an Italy trip). Secondly, you rarely need to use data anymore unless it is an emergency because there is most often WiFi around in restaurants and hotels. Of course, you can always get an international phone plan or purchase a local phone or sim card. But do you really want to pay for all that data — especially when you don’t really know how much you will need / use during the trip? Sure, some countries make it easy and cheap to reload data, but not all of them. Plus, sometimes you aren’t at a destination long enough to make it worth it. For example, we weren’t going to go buy a local SIM card or phone plan for our 2 day visit to Hong Kong! Luckily for us, Hong Kong does have great free WiFi around main tourist areas of the city. So I decided to go down to the famous promenade at Victoria Harbor in Hong Kong one evening to watch the lights of the city come on, and hopefully catch some Pokemon! But I was disappointed yet again! There were so many people buzzing about and using the system that the WiFi was incredibly slow…and it kept kicking me off. I spent more than 45 minutes reconnecting only able to catch a quick glimpse of all the Gyms, Pokestops, Lures, and other exciting things around me…only to have everything die on me in less than a minute! I was getting so annoyed because I wanted to play badly, but yet I couldn’t because I had to depend on this overcrowded public WiFi connection! 2. What Happened to Sightseeing?!?! For us, one of the biggest downsides to playing Pokemon Go in a new destination is that it really doesn’t highlight where you are at. Technically, you can be anywhere in the world playing Pokemon Go and it doesn’t matter, because the screen always looks the same. Even though people playing Pokemon Go can find different types of Pokemon in different locations around the world, there really is no integration with the local sites or tourism boards. There are some companies who have tried to get on board, like Marriott, who are getting their brand message out by encouraging Pokemon players to catch them all, but are people really even noticing or enjoying their surroundings? Enjoy the view! No, everyone is playing Pokemon Go in Hong Kong! This very idea came to my mind while I was attempting to play Pokemon Go at Victoria Harbor in Hong Kong. I realized that people didn’t seem to care that we were at the Harbor. They didn’t even look up to see the lights, and could have been anywhere in the world catching these things. True some of them were locals, but definitely not all. While I understand that the game creators didn’t design Pokemon Go with travelers in mind, I got my hopes up when I read about the Pokestops. Pokestops are placed at popular or important places where people can pick up supplies and meet up with other players. I assumed that there would also be some cool information about the site of the Pokestop included in the game too. All these fun things around me – but you would never know I’m at the promenade in Hong Kong…it looks the same as anywhere else! When I did finally get a chance to play Pokemon Go, I got so excited and into that game that I barely considered where I was…and I certainly didn’t pay attention to where I was walking! I would see something pop up on my screen and rush to find it without even much thinking. Of course they warn you about this within the game…but once you are focused you get caught up in it! As an ambassador of tourism, and a person who emphatically tells people to stop and “smell the roses,” I realized that playing Pokemon Go while traveling is a real disservice to travelers. If you are running around just staring at your phone, then you are missing out because the experience isn’t in your phone…it’s all around you. You have to look away from your phone to enjoy a destination. And even with the augmented reality technology with your camera, I honestly think few people are paying attention to what is around them, especially if they are walking right off cliffs! I almost missed my flight because I was trying to catch Pikachu in an airport! 4. We Explore the World to Catch Pokemon…But Where Are the Memories of Our Adventures? One of the reasons we love traveling is for the memories it gives to us. We can look back on our adventures and photos and remember all the great experiences we had. When Pokemon Go came out, one of the things that we were really excited about was reading the whole backstory. The concept of the game is that you are going to explore the world to find these little guys. It sounded like such a great adventure! That’s actually what really got us excited to play the Pokemon Go. But we quickly learned that the backstory isn’t integrated into the game itself. While you can snap some funny shots of a Pokemon with your camera on an iconic structure, like the Eiffel Tower, the game stops short. We can’t go back and review our adventures, and it doesn’t track where we traveled to find Pokemon. That’s a real disappointment for us. Of course there are many positive aspects of Pokemon Go. Yes, it is getting people up and off their couch. It’s giving them a reason to go out and explore new places, and even bringing people together from all walks of life! Given the state of the world and the US now, no one can deny that getting people out and socializing in a fun way is actually doing a lot to benefit our society. While many businesses are having a hard time finding ways to capitalize on Pokemon Go, some businesses are getting really creative. Some have signage offering Pokemon players discounts for coming in, and tourism boards like Calgary in Alberta, Canada are starting to offer Poke Tours for its locals and travelers. These Calgary city tours will take people around to major PokeStops and Gyms while showing people around the area. In fact, Alberta’s inaugural tour with 50 seats available filled up within 1 hour of the announcement! So that tells us that there is plenty of interest out there – and opportunity! While this whole Pokemon Go concept may be totally new to some people, there have actually been other GPS / augmented reality games out there for years. A game that we particularly enjoy playing during our travels is Geocaching. Using GPS coordinates on a smartphone or a GPS unit, gamers can get within a reasonable area of the geocache, then they must actually follow hints and clues to try and figure out where the container is physically hidden. However, you don’t need constant WiFi or data to play Geocaching because there are ways around this — such as downloading for offline use or even using a real GPS unit that doesn’t need a WiFi connection. It has been possible for us to geocache all over the world without using our phone data, including finding a geocache at Mount Everest base camp in Tibet (no internet there)!. So you don’t always need that data plan or a strong connection at all times to go Geocaching. We found a Geocache at Mount Everest! No wifi or data connection here! 2. People Experience the Destination By Finding Real Geocaches! Unlike virtual Pokemon, Geocaches are real things and they are not located in your phone. You must be aware of your surroundings, looking up, down, and all around. You are following clues and noticing things in a unique way. In fact, we think Geocaching can actually help you enjoy a destination MORE because you are paying more attention…and geocaching is a cheaper way to sightsee because you aren’t paying for a tour! Geocaching has not only taken us to some pretty amazing places around the world, but it’s given us unique experiences. While visiting Angkor Wat, we left the hordes of tourists following our GPS to a geocache that was located at an old broken down temple (talk about an Indiana Jones moment!). It’s also taken us to a unique neighborhood and restaurant in Playa del Carmen Mexico where we got to meet the most amazing owner/character – Jose Ramon! Another aspect to Geocaching that we really love is that our profile tracks our stats, and we can go back and review our caching adventures. For example, we can see photos of our awesome caches around the world, track the miles we’ve traveled with little “trackables” on our bags and we can easily look back on our most epic geocache finds or caches we didn’t find. We can easily look back at the time we ventured off the beaten path to capture our first 5/5 (highest difficulty and terrain possible) to hike and swim past 3 waterfalls for a geocache in Maui. Yeah, we did that…and we can always look back through our Geocaching profile on it as one of the most epic adventures ever! 4. Tourism Destinations Can Create & Promote Their Own GeoTours! This is really where it gets exciting for us as travel industry professionals. One of the things we love is that local tourism operators can participate in Geocaching and use it as a way to encourage visitors to explore their destination through official GeoTours or unofficial GeoTrails. Our home state of Georgia was one of the first to create a GeoTour for their State Parks and Historic sites, and those tours were actually the reason we fell in love with Geocaching! They are an amazing way to encourage people to come out and explore…while also giving them a unique and fun experience! Other tourism organizations are getting on board too, such as the popular Helena, Montana GeoTour & the Delaware Tourism GeoTrail. While we often rave about Geocaching and how it has really changed the way that we travel and explore a destination, it isn’t without it’s gaps. First of all, the game certainly seems a bit “old school” by technology standards, especially when you consider augmented reality technology and what could be achieved. And let’s be honest, while don’t mind getting a little dirty, sometimes we just don’t feel like picking up that rock or climbing into that dark cave! Maybe we just want to have a purpose for going to a really cool place. Geocaching does have a type of cache called EarthCaches, which are more of a virtual type of cache – but we’d like to see more advancement in this area because we feel like there is a missed opportunity to make them more fun. So hopefully, they will get on that soon! Another thing to consider is that physical geocaches need to have owners and be maintained. This is frustrating for people (and tourism boards) who have to put time and effort into taking care of them. And it’s SUPER frustrating for a geocacher who spends hours searching for a geocache that got destroyed or taken away by someone who didn’t know what it was. Now that’s a frustrating waste of time! Lastly, some of the “gaming” elements are missing from Geocaching. For example, with Pokemon Go you have to go to Pokestops to reload supplies, and you are challenging other people for Gyms. You are also not just seeing your stats rise, but you are achieving different levels which open up other opportunities. Exciting gaming elements like these are lacking in Geocaching. All this talk lately about Pokemon Go and Geocaching really got us thinking about the future. And the thing we are most excited about is the opportunity that it represents for the future of both travelers, and the tourism industry. As travelers, we are always looking for new and fun ways to experience a destination beyond more than just boring sight-seeing. Geocaching has given us a way to have a more unique experience, and GeoTours has given the tourism industry to participate. But the technology of Pokomon Go makes us think that there is a lot of opportunity to take this experience further…and make traveling around a new city even MORE fun! 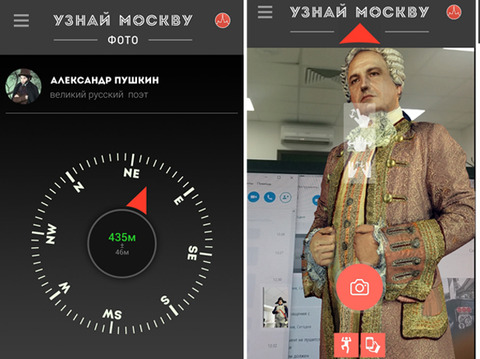 For example, Russia is actually developing a game that will take visitors to Moscow on a hunt to locate famous people from history around the city — using hints, GPS, and augmented reality features to actually see them (and take selfies with them)! Can you imagine running around a new city playing a game that really lets you experience the place, and interact with the sites and history. Is Augmented Reality Technology Going to Change the Way We Travel? That is the ultimate question here. And we think, yes…it very much could. At least, we hope it does. But companies are going to need to get on board and be creative to make it work. Those who do will be rewarded with the ultimate selling proposition to tourists who want a unique experience. At the end of the day, as travelers we really want to enjoy and experience a destination. And we like to be able to look back on our times traveling and be able to see something that reminds us of that time we went to a place and had that adventure, without costing us an arm and leg in data usage on our phones. That’s why we’ve been incorporating Geocaching into our travels for years. And as of right now you don’t have that with Pokemon Go. Yes it’s free…but you are paying for that data, and are you even seeing anything!?! Plus, you can not physically collect something. By physically I mean photos, a small trinket, or anything to look back on with delight. Pokemon Go is virtual, but is it too virtual for the travel industry to capitalize on? There is a lot of potential, and that excites us. But just collecting Pokemon doesn’t do it for us — we want to collect memories. After all, isn’t that what travel is about? Don’t Forget To Pin It To Your Pinterest Board And Make Sure To Follow Our Boards Too! Pokemon Go was released when I got to Europe for a 6 week adventure and I 100% agree with the statements you’ve made. I did notice however a drink kiosk had rebranded itself as ‘Pokemon Drinks’ in Venice, they were dropping lures so pretty cool.